Where can I compare various types of small business health insurance plans? Home / FAQ / Where can I compare various types of small business health insurance plans? There are several outlets to explore when looking for the right health insurance plan for your small business. It’s always a good idea to compare and contrast different plans and rates. The online community makes it fast, accurate and hassle free when it comes to researching health insurance. You can view different health insurance rates by viewing our website. Enter your zip code and start the search for health insurance rates online! According to Recordonline, the cost of health care will increase an average of 10.9% this upcoming year. There’s even the possibility that those rates could change from quarter to quarter. What do I look for in small business health insurance? Many small businesses can’t shoulder the extra expense of health insurance for their employees. With the cost of health insurance for small businesses doubling in recent years, only 49% of those small companies actually carry it. This is a big difference compared to larger companies. Ninety-nine percent of them offer health insurance benefits to their employees. The healthier you are as a business owner, the better insurance rates you’ll find for your small company. Every state has individual health insurance options and coverage for small groups is often just as expensive as the cost of the individual market. Each individual person in a small company will have differing needs when it comes to health insurance. Before signing a contract with a plan, you need to prioritize each employee’s needs. Another good thing to keep in mind when comparing small business health insurance is how much premium costs are the employees willing and able to pay. Research has shown that over half of the employees of small businesses pay out for a good chunk of their premiums. This is not the case with employees at larger firms with only 40% of employees paying large amounts for monthly premiums. 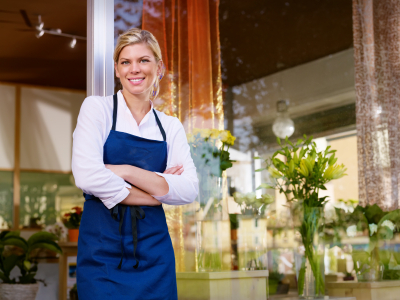 What do business owners need to look for in their small business health insurance plans? Business owners need to have insurance for themselves and their families. It’s an added benefit if they’re in good financial standing to offer it to their employees as well. However, the premiums can be a shock to those who haven’t researched group insurance before. The good news is that whatever premium percentage you pay for your employees you can use as a tax deduction. In addition, having health insurance will attract better employees and keep the ones you have that much longer. Another benefit of group health insurance is that no one can be turned down for health insurance based on their individual medical past. The group coverage will protect all the workers and their families. Finding a group health insurance plan for an up and coming small company can be easy, especially when you have insurance companies competing for you. According to Business News Daily, finding the right health care plan is the hardest part of the process. Many small business owners are given the advice to join an industry association that offers health care plans. With this, the small business can join a large pool of employees, which in turn will reduce their costs in insurance expenses. Can an individual small business owner get health insurance just for themselves? If you’re an individual contractor and looking for health insurance just for yourself, the task of finding a policy might be a little more challenging. Even if it’s just the individual small business owner looking for health insurance coverage, the most affordable way to go is group insurance. It’s important to see if you qualify for any professional associations or industry trade groups health insurance plans. With this, you may be eligible just by being in a chosen occupation or trade. COBRA is most often offered as an alternative health insurance after leaving a place of employment. While COBRA tends to be three or four times more expensive than your initial costs of insurance, the coverage is usually very good. Being part of a group, such as Costco, can give you inexpensive group health insurance coverage. There are many options out there and the only way to find out what you can get for health insurance coverage is to do your research. You can compare and contrast different health insurance quotes by entering your zip code in the box. This is a fast and easy way to compare!